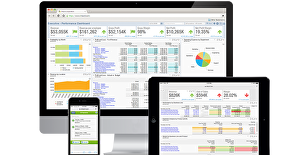 Sage Intacct is the innovative solution in cloud financial management. With the powerful combination of Sage and Intacct, the Sage Business Cloud offers the best capabilities of both companies. Bringing cloud computing to finance and accounting, Sage Intacct’s innovative applications are the preferred financial applications for AICPA business solutions. Startups and growing companies can rely on the software to drive business growth and improve efficiency. It automates processes effectively so you can administer day-to-day operations with more attention. It lets you act fast in facilitating changes with deep insights and flexibility. Hundreds of leading CPA firms and Value Added Resellers also offer Intacct to their clients. The cloud financial management platform offers a wide range of solutions to cater to your core financial operations. This includes cash management, order management, accounts payables and receivables, and spend management, among others. Moreover, it has additional modules to extend the service’s functionality as your business needs regardless of your industry from professional services to accounting firms and financial services. such as healthcare, wholesale distribution, and retail can benefit from this software. Magazine (Top 20 Cloud Software &amp; Apps Vendors) and OnDemand 100 (Fastest Growing Private Cloud Computing Companies 2010, 2011). are subject to additional costs. An interactive demo is available, as well as a webinar introduction. needs. Sage Intacct can be installed in Windows, Mac (OSX) and Linux. When it comes to boosting productivity, Sage Intacct includes creative multicurrency management tools. streamline compliance by ensuring that all laws, jurisdictions and clauses are looked over closely. and returns directly into system, removing the need to do manual computations from Microsoft Excel. employees can easily monitor and keep up with tallied purchases and acquisitions. software. Likewise, the dashboard can also be customized, creating shortcuts to most common functions. within the software is safe from hackers and viruses. Every enterprise has different needs and requires a software that can be personalized for their size, type of staff members and clients, and the particular industry they are in. For these reasons, no system can provide perfect features off-the-shelf. When you look for a software app, first be sure what you need it for. Read some Sage Intacct reviews and ask yourself do you need basic functionality or do you need complex features? Are there any industry-specific functionalities that you are looking for? Get the answers to these queries to aid your search. There are lots of elements that you need to reflect on and these include your finances, particular business needs, your company size, integration needs etc. Take your time, check out a few free trials, and finally select the system that provides all that you want to boost your organization efficiency and productivity. How Much Does Sage Intacct Cost? We realize that when you make a decision to buy ERP Software it’s important not only to see how experts evaluate it in their reviews, but also to find out if the real people and companies that buy it are actually satisfied with the product. That’s why we’ve created our behavior-based Customer Satisfaction Algorithm™ that gathers customer reviews, comments and Sage Intacct reviews across a wide range of social media sites. The data is then presented in an easy to digest form showing how many people had positive and negative experience with Sage Intacct. With that information at hand you should be equipped to make an informed buying decision that you won’t regret. What are Sage Intacct pricing details? What integrations are available for Sage Intacct? Pros: Thanks to this product we have changed the way we do our business. I cannot really say how much I’m satisfied from report wizard tool. It allows us to create a report and to get detailed insight into the information. We don’t feel limited with its dimensional flexibility. We like the quarterly updates and investment that this tool makes. Cons: We didn’t know that we have to pay for additional business users, it’s not expensive but we didn’t know about this thing before. Pros: This tool is user friendly and easy to set up. I like that every area has its own set up configuration that is straightforward and understandable. I like the “help” feature that is on each field. With pre-built standard reports we can easily start with our work. Also, I like its support team, they are responsive and helpful. Cons: The Top Level Dashboard doesn’t show the entity that has an approval. In my opinion, the entity should be more of a “dimension” instead like separate area. In addition, when it comes to report writing and customizing existing standard report then some of the wizard features are not available but when using the wizard then some standard features are not available. Also, they could make the dashboard more configurable. Investing in it was the best idea ever! Setting up and starting Intacct was a breeze. On top of that, we are able to customize the system to meet the demands and needs of our business. If you need more information about Sage Intacct or you simply have a question let us know what you need and we’ll forward your request directly to the vendor.